We are excited to introduce Trupanion Express Pay! Welcome to Driftway Animal Hospital! 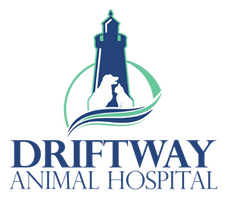 Driftway Animal Hospital is a full service companion animal hospital serving the people of Scituate, MA and surrounding areas. We are a recognized provider of high quality veterinary care that is designed to enhance the life of your pet. We provide preventive care for young, healthy pets; early detection and treatment of disease as your pet ages; and complete medical and surgical care as necessary during your pet's lifetime. We understand the important role your pet plays in your life and in your family. We are dedicated to becoming a trusted partner in your pet's health care. We will treat your pet as we would our own (we are pet owners ourselves). Our veterinarians and staff are efficient and cost-conscious. Many of the tests, procedures and counseling services we provide can be done during scheduled wellness exams. By being pro-active, and working in partnership with you, we'll strive to keep your pet at the peak of health and wellbeing. Please take a few moments to read about our veterinary practice and the services we offer and then call us at (781) 545-0952 for an appointment today. "Driftway has both immaculate facilities and a welcoming and knowledgeable staff. Throughout my eighteen year experience with the hospital, my pets and I have always been treated with respect, compassion, and professionalism. The staff has a genuine concern for the well-being of each pet as well as for the satisfaction of the pet owner... Their camaraderie is endearing and their personal, sincere, and skillful approach makes the "going to the vet" experience more like being with "family"." "I love the Doctors and staff at Driftway Animal Hospital! They're awesome!! They always make my dog Bo and I feel welcomed. I like their flexibility, it works with my schedule. I wouldn't go anywhere else!"